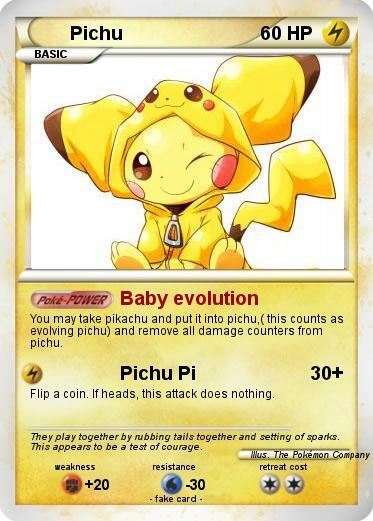 You may take pikachu and put it into pichu,( this counts as evolving pichu) and remove all damage counters from pichu. Comments : They play together by rubbing tails together and setting of sparks. This appears to be a test of courage.